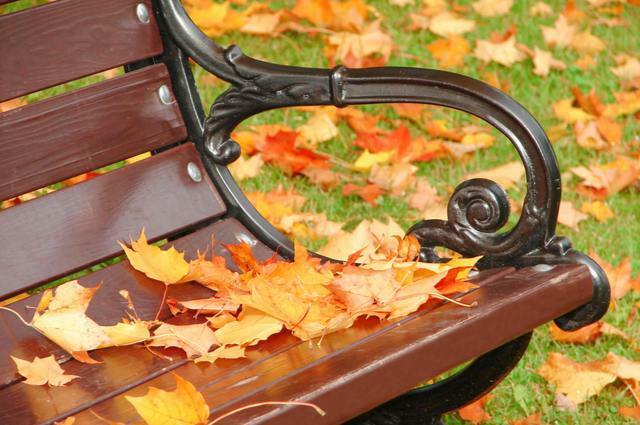 A beautiful garden bench, photographed in autumn by Elina (via Shutterstock). The humble garden bench: it can be as traditional as seen in the image above. Or modern yet refined. Or unusual and ingenious. In our latest blog post, we look at a few examples that fit any of the aforementioned categories. From The Instructables website, this ingenious option should be considered if space comes at a premium. According to the instructions, it is easy enough for a child to build. Forget that statement; it is easier to let a carpenter do it for you. The Freckles and Fluff website has a neat tutorial, where you can turn pallets into garden furniture. This inexpensive way of upcycling offers you a neat alternative to purchased garden furniture. We at Steven Cleary Carpentry can also work with recycled wood as well as fresh timber. We love this garden bench from Home-Dzine due to its low rise nature and curves. If your ideal bench is like this one, Steven Cleary and his team can make that possible. Take a look at Les Mable’s project from RailwaySleepers.com. This bench, apart from being made with railway sleepers, includes raised beds. Another ingenious design for smaller gardens and one we could turn to, if it takes your fancy. If you have been inspired by our carefully chosen selection of garden benches, let Steven Cleary Carpentry make that possible. Why not share your own design ideas? For a free no-obligation quote, call us on 046 9028374 or 086 2448792. Or you fill in our quick enquiry form at the bottom. Or send us an email via clearycarpentry@gmail.com. We’ll be happy to help you and respond to your query as soon as possible. Steven Cleary Carpentry, 06 September 2017.